See our photo gallery for pictures of our most recent projects. We can frame wedding gowns, sports jerseys, jackets, service pins and sashes, plaques and medals, ceramics, and seafans….just to name a few. Best Framing is known for our creative solutions to framing 3-D objects that might be impossible at other custom framing stores. In person design consultation is required for framing 3-D objects since so many variables must be taken into consideration when framing. 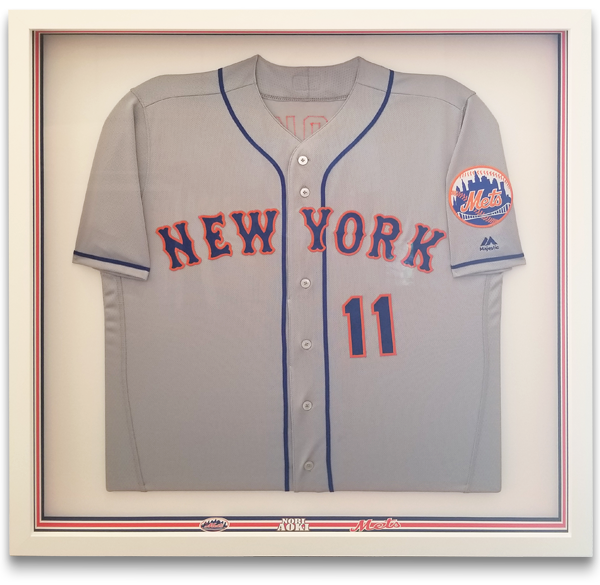 We offer 3 different Jersey Framing packages in addition to fully custom: Half Folded Simple Jersey (under 32×20): $149, Full Simple Jersey Package (up to 32×40): $199, and Standard Jersey Package with up to 3 matts (up to 32×40): $249.